Thank you for considering buying Dwelvers E.A. Dwelvers is a game that is being continuously updated. By pre-ordering the game you will receive all future updates, and help us reach our goal to make Dwelvers the game it deserves to be! NOTE: Please make sure that you REGISTER before pre-ordering so that your account gets upgraded automatically. You aren’t convinced yet? Why don’t you try the demo for FREE to see if you like it, and to make sure your system will support the game? Also be sure to register in the forum to get answers to any questions you may have in the game or to contribute your suggestions. What do I get by buying Dwelvers Early Access? You will be able to download and play the latest version of Dwelvers available. You don’t need Steam to play download and play Dwelvers. 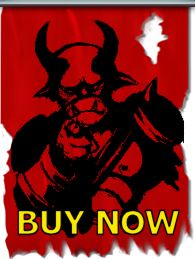 Get a free steam key, (In total you will only get ONE steam key, and be able to download Dwelvers from the website). Get a DRM free version of Dwelevers, (No internet connection needed to play). So thanks for your consideration, and we hope to see you in the forum at Dwelvers.com.